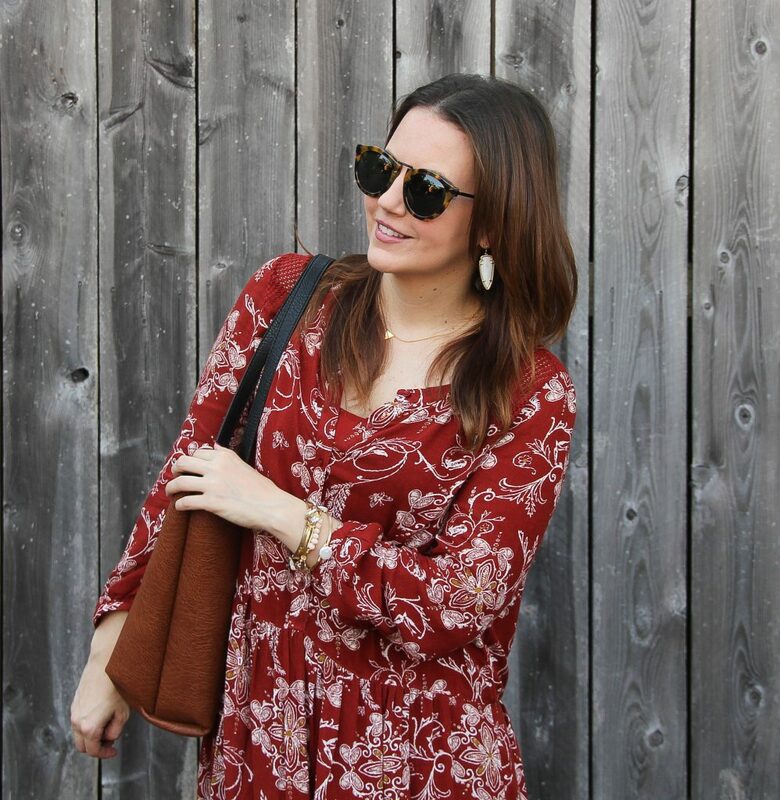 I mean, who doesn’t love a cute and casual shift dress?!?! 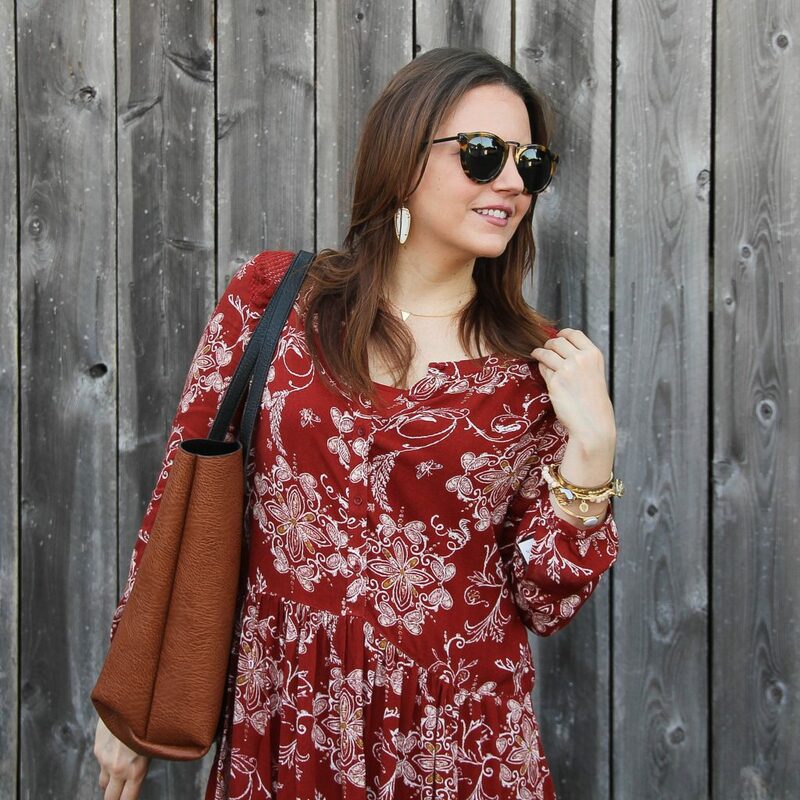 Easy, casual dresses are a favorite of mine year round, but especially in the fall. Texas fall is still a little bit hot during the day, but we usually get a few cool breezes at night. I love having a dress I can throw on during weekends or after work. This dress is so comfy ya’ll. It’s almost long sleeve, like in between 3/4 and long. It has this really pretty crochet lace detail on the back (you can still wear a bra though). You can kind of see it on the shoulders in some of the pics. The lace has very small holes. I was super nervous when I bought this what the crochet lace would look like in person, but it looks like it will survive all season without issue. 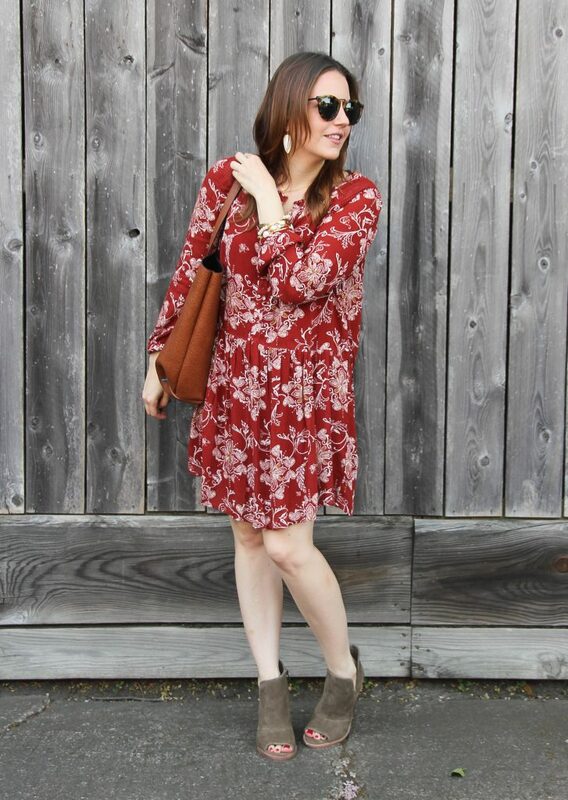 This outfit is full of my Nordstrom Anniversary sale buys, starting with this dress which is ALMOST FULLY IN STOCK! It also comes in 2 other colors. I wish I could say the same about these booties, they went quick. I knew they would which is why I snatched them in my first early morning order. They are so comfy ya’ll! I shot a few looks this weekend to get ahead since I have a trip coming up, and these made quite of a few outfits. The color and style works really well with both dresses and jeans. Because our fall is a little hot, I really wanted something peep toe this year. I feel it works a little better when it’s still 90 out in October. These also come in black. Stock levels change daily as things are returned, so these may come back in stock before the sale ends. I saw a size 4 available last night… I will be sure to let you know if I see more. Another sale find that sold out was these cute bracelets. 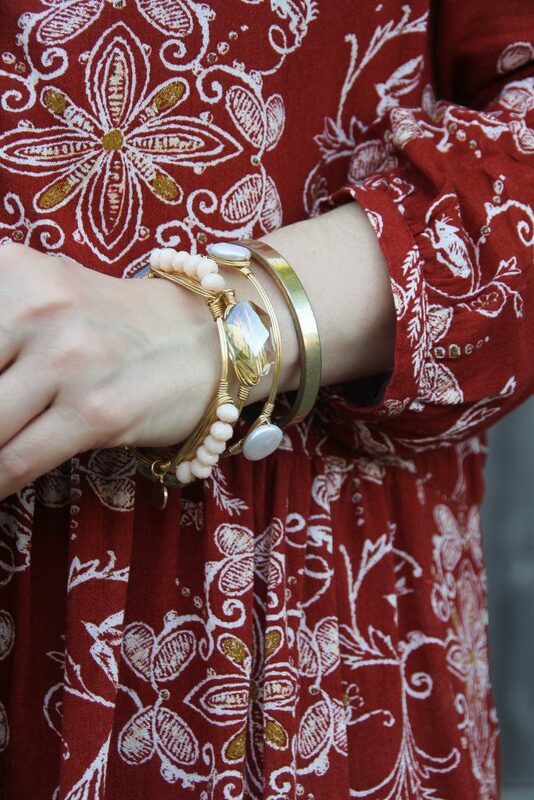 I saw this brand at Nordstrom a few months ago and thought the bracelet stones were so gorgeous. Normally they are sold individually, but sets were sold during the sale. If you love the look, you can create your own set HERE! They have multiple color options. I liked this set because it was neutral and would work with a wide array of outfits. 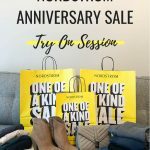 Check back Friday because this shoe gal is going to share my favorite Nordstrom Sale shoe finds. AND if we are lucky this will still be in stock! 🙂 If you do find something you absolutely love in the sale, check back every day or so. I’m always perusing the sale to see what is back in stock or if anything new comes in, and I have seen things changing by the hour. Until then, have a great day and thanks for stopping by! ← A HUGE Instagram Roundup! This dress was on my wish list and now that I see it on you, I think it is time to click purchase! That is such a cute dress! 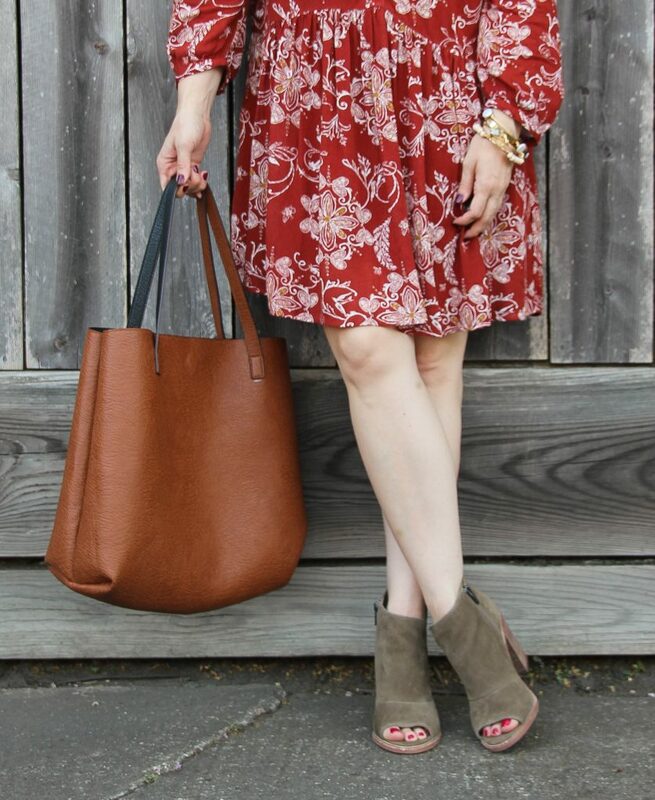 I supply love shift dresses especially one I can wear for more than one season. I bought the same booties in black, they are stunning! Very pretty! That’s a great color on you! 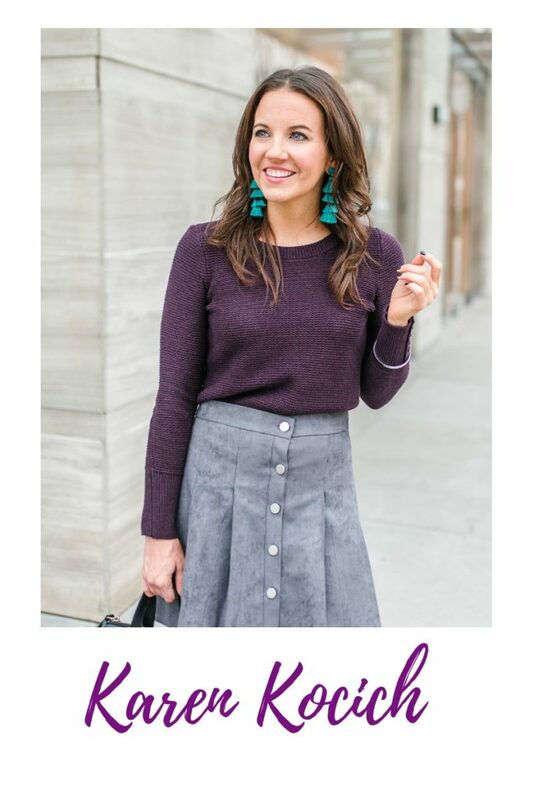 Thanks so much for linking up with Fun Fashion Friday & hope you had a fab weekend! 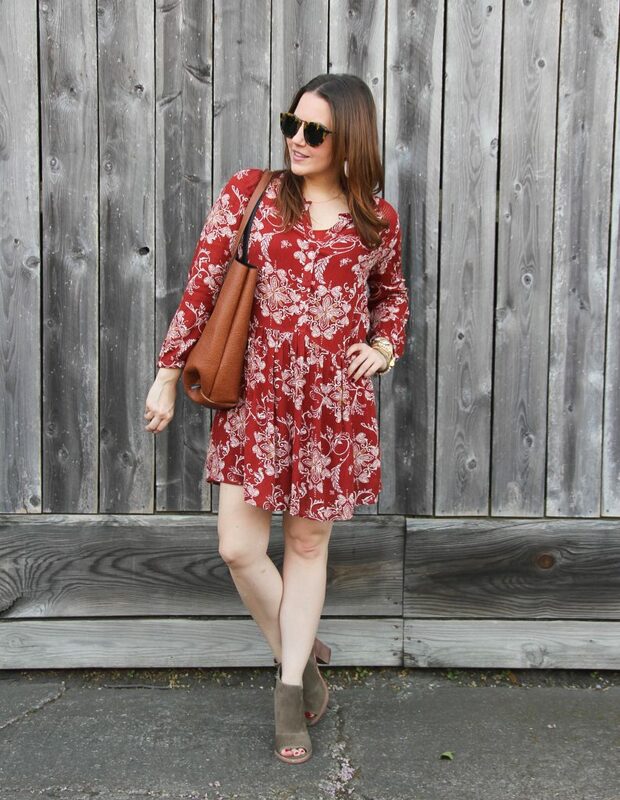 Love this dress you can wear it all year long. YES!! That was exactly what I thought too! This dress is so gorgeous! I love the print and the color and everything about it! 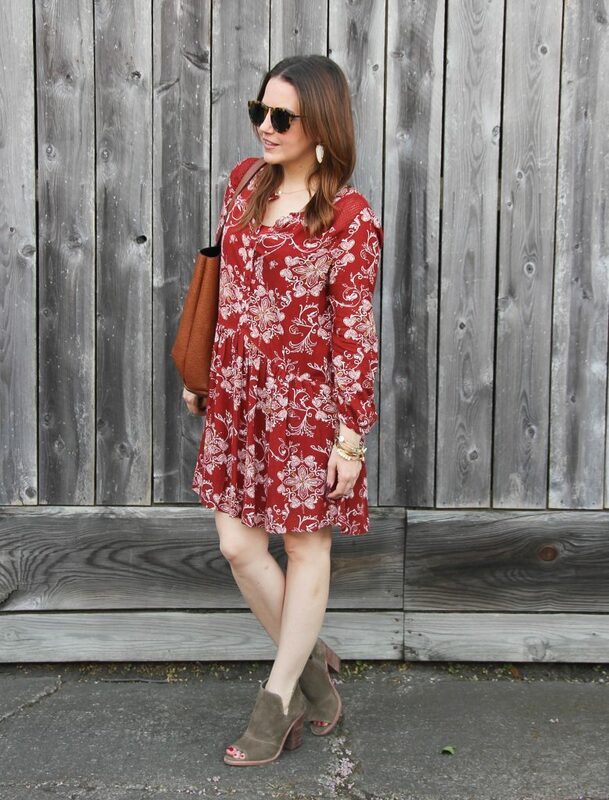 What a great transition dress for the fall. What a fab dress! Love it with the boots!